By buying this product you can collect up to 50 loyalty points. 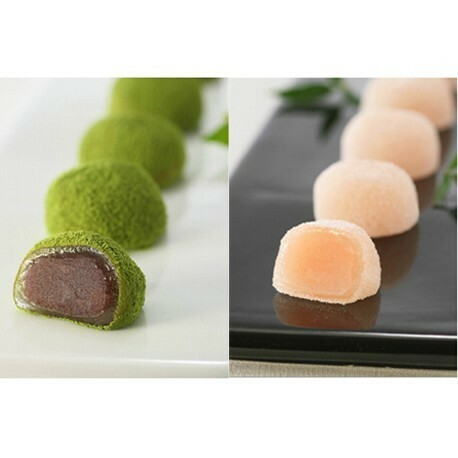 Mochi filled with sweet red bean paste and sprinkled with green tea powder. 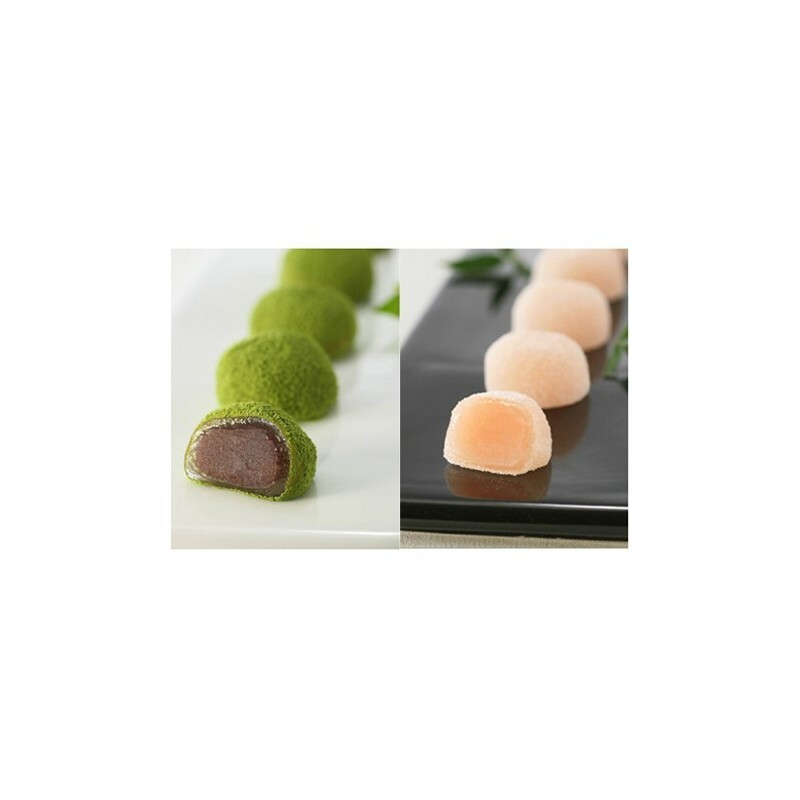 Soft mochi filled with sweet white peach flavored bean paste.